Always Aubrey: Cardstore... a new way to send adorable snail mail! 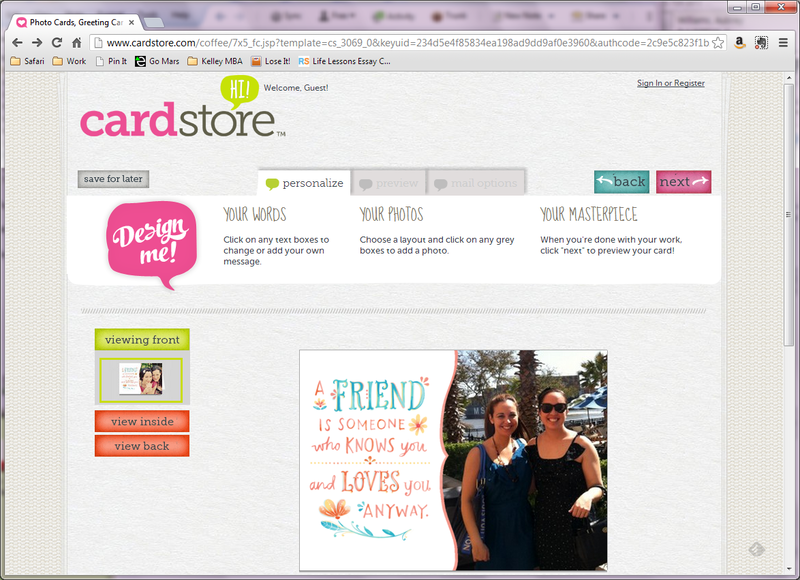 Cardstore... a new way to send adorable snail mail! My friend Lindsey is a die-hard snail mail fan in an increasingly digital age. She always sends handwritten, personal cards for holidays, occasions, even just because she's thinking of you. 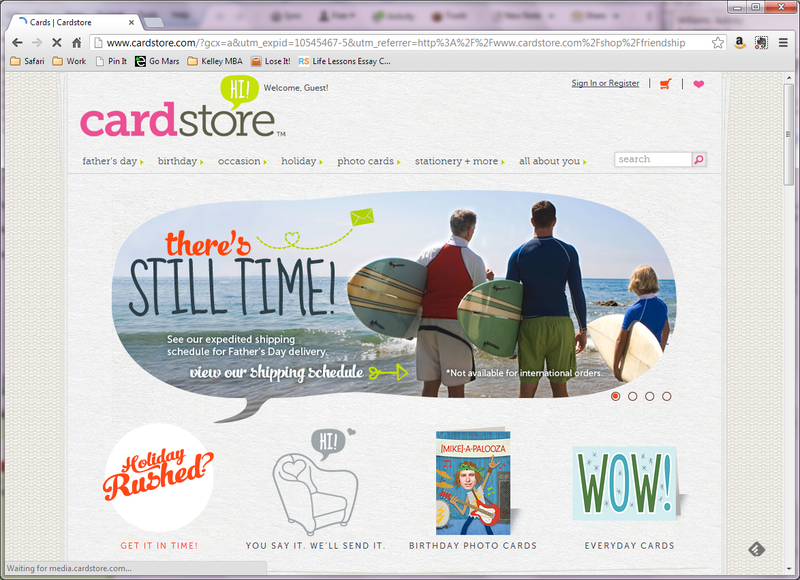 So when Cardstore.com offered me a free customized card, I knew exactly where to send it. I moved away from Lindsey about a year ago, so it's made keeping in touch that much harder... and more important! I really enjoyed creating this card. The total cost for my customized card, including postage and color printing, was well under $4. When you think of the cost of driving to the store and taking the time to dig through the racks, not to mention that most cards cost $2-3 these days, this is a WAY better deal with a lot more love involved! Not only that, but Cardstore has plenty of promo codes and sales that make it even more economical. You can even take photos straight from your Facebook albums to use in creating the card. I had an old photo of Lindsey and me that I wanted to include. I picked the card I liked most, then added the photo. Super cute, right? I typed a personalized message, and had the card mailed directly to Lindsey via snail mail. You can also opt to have the card sent to you, so you can sign yourself and mail it. I actually think this is a great option; you could create custom cards at the beginning of the year for birthday, Father's Day, Mother's Day, etc. and order them all at once. Then you'll have them on-hand whenever you need them! Wouldn't it be a cool idea to have a little card organizer by month so you were always ready to send the next custom card out? Cardstore.com covered the cost of one free card. The opinions expressed above are my own! Totally unrelated to your card post (sorry! ), but I just wanted to let you know I adore your blog! You swapped Ad Space with my blog, so naturally, I had to come check you out and now I'm sitting here bawling like a baby over your cat posts! Good grief! Aw, thanks so much! And you should check out the other Nashville bloggers I'm friends with... all young ladies who love cats! :) They're way cooler than me, so you gotta love it.